Professionally screened loam ready for your lawn! Did you know that fall is the best time to get your lawn ready for spring? That’s right – cool fall temperatures and autumn rainfall is ideal for germinating grass seed and giving your lawn a head start for next year. To do it right, it’s important to prep the soil for seeding, and that means getting a high quality loam to spread around first. Adding a top-quality screened loam to your yard at this time of year is a great way to fill those bare spots that may have developed over the summer and avoid getting weeds while promoting healthy grass growth. The concept of over-seeding lawns as part of a regular maintenance has been around for years, but it is still new to many homeowners. This one step will do more to improve the quality of your lawn than almost anything else you can do. The practice of over-seeding lawns is really nothing more than spreading grass seed over an existing lawn. Over-seeding lawns in the fall reduces or eliminates competition from summer weedy grasses, such as crabgrass, foxtails, and other weeds. Furthermore, soil temperatures are still warm in the fall, which is necessary for seed germination, while the cooler air temperatures are better for grass growth. The right screened loam makes a big difference. Dirt is dirt, right? WRONG. 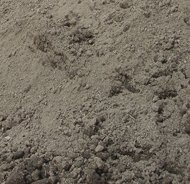 Not all screened loams are the same and quality can vary tremendously from supplier to supplier. At Mike Lynch Enterprises, we screen all of our top-quality loam to ½” and add just the right amount of plant material compost, potash, and lime for the perfect nutrient blend. The resulting loam has a PH between 6.5-7 – perfect for Central New England lawns. In fact, this is the exact same loam blend we use on our professional landscaping projects. So now’s the time to spread some premium screened loam on your lawn, do a light over-seeding with a quality grass seed and give it an early boost with some starter fertilizer. You’ll be thanking us come springtime when your lawn is looking the best it’s ever looked. Order your loam today!